Venditore Yoti "Sailing as it should be"
Designed by Marc Van Peteghem and Vincent Lauriot Prévost (VPLP) to replace the famous 440, she had to be bigger, safer but also more comfortable and luxurious. The result has been an award-winning success. The flybridge has been enhanced with an easy access through the cockpit, with its steering station, engine controls, sheets and related running rigging, and a dedicated sunbathing lounge directly forward on the upper deck The cockpit itself features a wraparound settee and dining table to port and an inviting “lazy-boy couch” to starboard that significantly opens up the floor plan. That aforementioned aft cockpit, specifically the dining area to port, is situated directly aft of the large, U-shaped galley in the main saloon, which has its own dedicated sliding window behind the sink. In fact, when the sliding cockpit doors are opened as well, there’s virtually no separation between the interior saloon and the exterior living area—it’s one big, open space, and perfect for parties and open-air living. The ultra-contemporary accommodations and furnishings have been fashioned by the Italian interior specialists Nauta Yachts. The overall design maximizes space and adds lots of nice little touches: indirect lighting, a hideaway cabinet for the flat-screen TV, clever catches for the drawers and lockers, and a washing machine with a crafty adjoining basket, among others. The four cabins feature plenty of light and ventilation, each with ensuite shower and separate toilets. 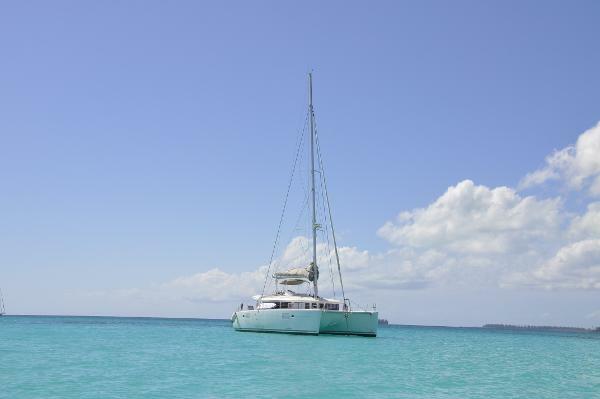 She is very easy to handle and allows for good performance even in light winds thanks to a generous sail plan. 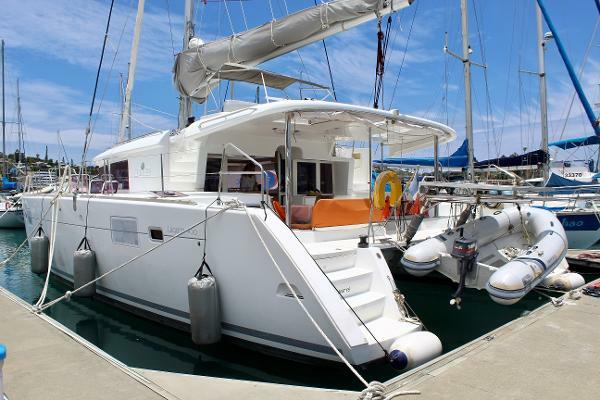 This version comes with a lot of gear (bigger engines, washer, watermaker etc…) which makes her ideal for live aboard on blue water cruises. 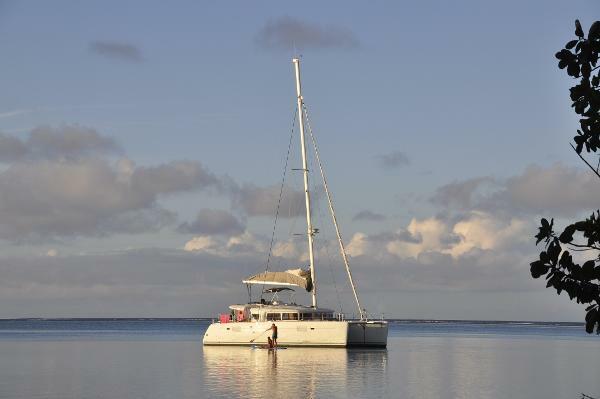 Please don’t hesitate to contact the team at Multihull Solutions for the complete inventory or if you have any questions at all.